One of the biggest hurdles with 3D printing is still 3D modeling. Despite the surge of easier-to-use modeling programs, complex and organic models still require some knowledge and experience with more powerful software. 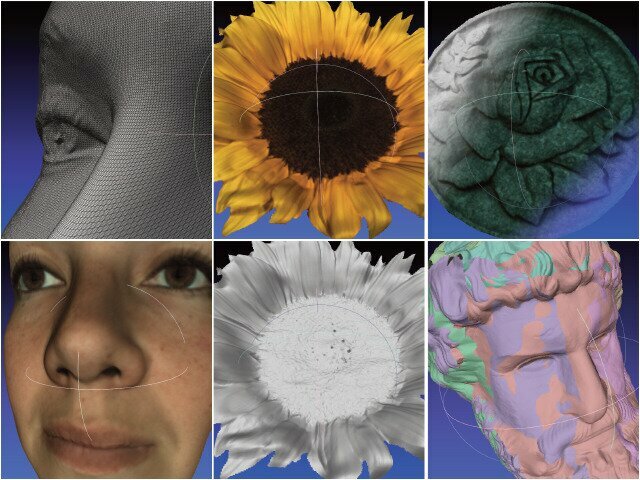 So if your friend wanted you to 3D print a sculpture of his/her face, you’d better be familiar with something like Blender, ZBrush, or Sculptris. Or you could use a 3D scanner. You’ve got one of those, right? I mean, the handheld ones start at around only $15,000. There are a few turntable style scanners available for less than $5,000, but you can’t put your friend’s head (intact) on a turntable, and that’s still a hefty price even if you did opt for decapitation. Enter Fuel3D, an affordable handheld 3D scanner that just hit Kickstarter. We’ve covered other 3D scanners targeted at minimum wage earners, so we’ll compare the Fuel3D to those. The MakerBot Digitizer is a turntable scanner suitable for small objects, and will cost less than a Replicator 2 ($2199). The Matterform is also a turntable scanner, but it’s portable and will cost around $600. The most comparable 3D scanner to the Fuel3D is the Lynx A; it’s handheld, does color, and costs between $2,000 and $3,000. However, the site states: “Due to high demand, we are discontinuing manufacturing of the Lynx A camera.” That seems counterintuitive to me; I get why that’d be reason to pause orders, but shouldn’t high demand be an incentive to ramp up manufacturing? Regardless, you can’t currently order one. The Fuel3D is handheld, like the Lynx, but whereas the Lynx operates like a video camera, the Fuel3D functions more like a standard camera that takes pictures. It combines pre-calibrated stereo cameras with photometric imaging to create 3D images in color with a single shot, and with resolutions of 250 microns. The Fuel3D was developed by Professor Ron Daniel and James Patterson out of Oxford University for medical imaging. After a few years of tinkering, an alpha was unit was created that drew VC funding. Now the Fuel3D is used in 25 UK health clinics, as well as in hospitals in several other countries, including the US. The Kickstarter campaign is intended to improve design and usability. Because the Fuel3D takes 3D pictures, it’s ideal for accurately capturing surfaces. It can take 360-degree images, but multiple pictures are required that then need to be stitched together in third-party software. Hopefully that function will be incorporated into the included software. One of the most appealing aspects of the Fuel3D, however, is its price of $990. I expect the Fuel3D will be fully funded by morning as it’s already at $53,000 of a $75,000 goal.